Homes for Northumberland is inviting its tenants to an exhibition to showcase its £31million capital works programme. Now in the fourth year of a five-year programme, the work will see almost 1,500 homes scheduled for improvements this year. It will include kitchen and bathroom replacements, electrical rewirings, new heating systems, replacement roof coverings, doors and windows, as well as external rendering. All tenants whose homes are scheduled to receive improvements this year will be sent a letter inviting them to attend the exhibition. One takes place at Alnwick North Community Centre, on Friday, February 27, from noon to 6pm. The other is in Blyth on Tuesday. 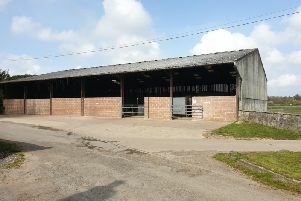 Tenants will be able to view the choices on offer and be given an idea of when the work will start.Call 01670 542424.